As a professor of human development in the Department of Human Development and Quantitative Methodology at the University of Maryland, College Park, Dr. Kathryn Wentzel researches the nature of teacher-student relationships and how these relationships predict young adolescents’ goal pursuit, prosocial behavior, and academic performance. On this episode of All4Ed’s podcast, Critical Window, Wentzel walks through the process of building positive student-teacher relationships and how it affects student engagement and learning. To learn more about how to build positive relationships between teachers and students, listen to the full episode of Critical Window below. Robyn Harper:	How can positive relationships between teachers and students help to keep students more engaged in the classroom? This week on Critical Window we’re looking at how positive relationships can be a crucial tool for teachers and how education leaders need to take a key role in developing the structures that help teachers create and foster these relationships, especially when it comes to adolescent students. Hans Herman:	We have a great guest today whose work focuses on the nature of teacher-student relationships and how they predict young adolescent goal pursuits, social behavior, and academic performance. Kathryn Wentzel is a professor of human development in the Department of Human Development and Quantitative Methodology at the University of Maryland, College Park. She researches the nature of teacher-student relationships and how these relationships predict young adolescents’ goal pursuit, prosocial behavior, and academic performance. Kathryn has served as an editor of journals and handbooks in her field and is a fellow of the American Psychological Association and the American Educational Research Association. She is currently an American Educational Research Association Congressional Fellow for 2017-2018, where she uses her research expertise to inform policy in Congress. Welcome to the show, Kathryn. Kathryn Wentzel:	Thank you so much. I’m very glad to be here. Robyn Harper:	Great. So, teachers and parents often notice that children entering their adolescent years start to focus more on their friends, their social circles, and their pursuits outside of school. Also, we know that there’s a noted decline in students’ motivation and achievement in school during adolescence. Is it true to say that many adolescent students are not as motivated to do schoolwork and be in school itself? Do adolescent motivations often lie elsewhere? Kathryn Wentzel:	I think that we often have a stereotype about adolescent students, that they don’t want to go to school, that they’re highly unmotivated, and I think there are truths and untruths in that stereotype. I think, yes, adolescents are less motivated simply because they have more things to do. There are more distractions, and so they have to divide up their time across multiple goals and things that they want to spend their time doing. On the other hand, I think they do like to go to school, for the most part. Their friends are there. There are lots of social opportunities in school for them to pursue. And many adolescents are serious, by the time at least they get into high school, about what they’re going to do as adults, and so they start to focus more on their work, their career goals, or whatever it is they want to do. So I don’t think they totally discount school. Robyn Harper:	Definitely good to know. Hans Herman:	I’m curious, then, what are the specific changes that are taking place in an adolescent’s life that explain why there is this shift. And you started to mention some of those, but what are they? Kathryn Wentzel:	Sure. There are lots of changes for adolescents, and I think that’s one reason why we don’t understand them probably as well as younger children. There are environmental changes as they move into middle school and then from middle school to high school. Adult expectations are that they become more independent and self-regulating. At school, classrooms and the school plant itself becomes more impersonal, so they don’t have those social supports ready to help them. There’s less oversight and opportunities to get in trouble as kids get older. There are also cognitive changes, so students move into the stage of formal operations. They’re more able to think abstractly and play with ideas. This also is related to identity development, so they’re more able to take on different personas and identities, and that’s part of the adolescent experience, is trying to figure out who they are and who they want to be. So that’s a big change that I think drives who they are and what they do in school. Their teacher’s role becomes more focused on learning and instruction. So as elementary school students, quite often teachers provide more emotional support sometimes and they’re friends with younger kids, or try to be friends. But adolescents see teachers more as having a role of being their teacher and instructor, and so that becomes a narrower role for teachers. And then there’s ongoing brain development. We probably understand this least with respect to at least schooling. But what happens is that adolescents become more and more prone to risk taking. This can be good as well as bad. It’s good in the sense that it feeds into their identity exploration, so they’re willing to take personal risks with who they are. But then they look to the peer group for more security and safety, and a peer group also offers more opportunities for risk taking and getting into trouble. And so it’s a time of flux and kids are generally, I think, excited about this, but it’s also a scary time. And so the risks come with both positives and negatives. Robyn Harper:	You mentioned in an earlier answer that school is where adolescents’ friends are, and now I’m hearing again their peers offer this greater opportunity for risk taking, both positive and negative. So if the center of the adolescent’s social world, let’s say, is their peers, what does that mean for their teachers and the other adults in their life? You talked about how the teacher’s role is shifting from that of mentor and friend in the elementary years to more instructor in the adolescent years. So are the abilities of adults to support and motivate adolescent students drastically diminished because of these changes? Robyn Harper:	I think they have to change. 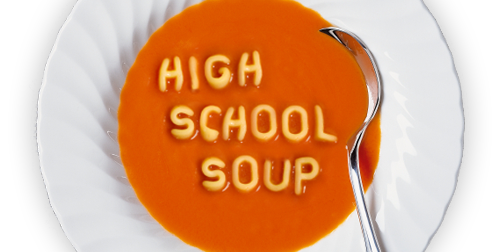 So I think just as adolescents are faced with new challenges, I think adults need to recognize these challenges and perhaps change the way they interact with adolescents. I think it’s very important especially for teachers to acknowledge the importance of peers and use that to their advantage. And so what we are beginning to understand is that teachers vary in their ability to understand adolescents’ friendships with each other and their ability to get along with each other. And the more they are tuned in to the peer relationships in their classrooms, the better able they are to create a classroom climate where they can interact with their peers but also engage in good instructional activities. So the challenge is to enable students to interact with each other but also in structured contexts where they’re able to learn. I think the other piece of this – you know, I talked about teachers as having more of an instructional role, but during middle school and high school, teachers also have the ability to create safe environments for students, physically safe environments as well as emotionally safe. And this is very important for adolescents because, as supportive and friendly as peers can be, they can also be mean spirited. They can also create a lot of stress. And so teachers need to continue to be there as a safe haven for adolescents. Hans Herman:	So then how is our understanding of the importance and the ramifications of building positive and supportive relationships between teachers and adolescent students evolved over the past several decades? Is this something we’ve just known for a long time this is important and take for granted, or is this something we’ve been learning? Kathryn Wentzel:	I think it’s something we’ve been learning. I think the research focus began probably several decades – [clears throat] excuse me – it began probably several decades ago, focusing on young children as they made the transition from the home to school or from childcare to kindergarten. And people were worried that working with teachers rather than being with parents was gonna be detrimental to students. And so the focus then became, well, what is the nature of teacher-students relationships in very young children and does that facilitate learning. And I think as these kids have grown up over the years, researchers have followed the age groups, and so I think now we’ve reached the adolescence of research as well as a focus on adolescents themselves. And so, in recent years, people have become more and more focused on middle school and high school students, with the realization that, in many ways, teacher-students relationships are as or more important during those years than for elementary aged students. People are beginning to develop some really good interventions, especially coming out of University of Virginia, working with teachers on one-on-one relationships with their students as well as how to improve classroom climates. Hans Herman:	So you started talking about interventions in that last question, and I’m curious if you could explain more about the academic and other benefits for building positive relationships between adolescent students and teachers, and what are the outcomes that come from building these relationships. Kathryn Wentzel:	Sure. I think there are two different sets of outcomes, but they are very interrelated, the first being social. So, building positive relationships with students provides students with a sense of social security and safety. It builds trust, so students are willing to engage in things that the teachers would like them to. A positive relationship also allows teachers to model good relationships with others, and so these social and emotional skills are very valuable for kids to learn and to demonstrate with each other. And then the outcome: the social outcomes are positive classroom behavior, being helpful, cooperating, sharing, being nice to each other, and engaging in positive social exchanges with others. Because that happens, there are also academic benefits. If a student feels that a teacher cares about them, is going to be supportive of them as an individual, they’re more likely to listen to the teacher, to engage in what the teacher wants them to. It’s gonna create a very, hopefully, calm, but at least an engaging classroom climate which allows everyone to learn more and better. It just creates a better climate for everybody to engage in the process of learning. And so there are academic benefits as well. Kids are more engaged and motivated to learn academically. Robyn Harper:	For the practitioners listening in, can we take a moment to describe what these supportive adolescent-teacher relationships actually look like and the common roadblocks, if you will, that are detrimental to fostering those sorts of relationships? Kathryn Wentzel:	Sure. I think, as I mentioned earlier, building a supportive relationship is really all about building trust with the individual. And I think there are a couple of things that teachers can do to facilitate that. One is providing emotional support and demonstrating to a student that they care about them as an individual. This can be as simple as making sure you know their name, saying hello to them when they enter the classroom. If they see that something is a little bit off today, asking if there’s anything they can do to help, but just showing genuine concern for them as an individual. Another thing that’s very important is for teachers to be very clear in their communications with adolescents about what they expect them to do, what’s gonna happen if they don’t do what’s expected, what they value, so that a very definite structure is established in the classroom for interactions and communications. It’s also very important to provide help. So if you ask a student to do something academically, you need to be there to help them do it if they don’t have the skills to develop. And, finally, create a physically safe environment, and that’s on the minds of everybody these days. But whatever teachers can do to make students feel safe from bullying or any other kind of physical dangers in the classroom, that’s very important. This is often tied, especially with adolescents, it’s tied to issues of discipline and teachers’ responses to bad behavior. And so, quite often, adolescents try to test boundaries. Right? They question authority. They have different ideas about what they can and cannot do, what kinds of choices they should make. And so teachers need to be more flexible in response to misbehavior and rather than immediately enforce punishment, to come up with creative ways to be more proactive about what it is that you’re supposed to be doing. How can we resolve a conflict? How can we promote more positive interactions and social behavior in the classroom? And so people these days are talking a lot about social and emotional learning, restorative justice practices in the classroom, and so I think it’s important for teachers to be cognizant of those things to work with their students. Hans Herman:	So what I’m almost hearing from you is that there should be a focus on positive, more rewarding type of behavior and relationship between the teacher than maybe a negative and punishment that might not work as well with adolescents? Kathryn Wentzel:	Absolutely. Absolutely. And adolescents like to feel as if they have choices, and if a teacher works with an adolescent to work through a problem, to resolve a conflict, hopefully the teacher comes up with a positive solution that’s good for her or him, but also give the adolescents a chance to contribute to that discussion and to have some say in what the outcome is going to be. Hans Herman:	We’re curious to understand more about how this process happens, building positive relationships. Is it something that’s only done during academic hours? What other context should teachers be considering in the students’ lives outside of classroom and school building as there are looking to build positive relationships with their students? Kathryn Wentzel:	Sure. High school teachers especially do spend a lot of time or have the opportunity to spend a lot of time with students outside of school with extracurricular activities. Whether it’s sports or theater or music, teachers do stay around and work with kids after school. They’re very motivated to engage on many levels. But I think a very important thing we don’t think about often is teacher-students’ relationships with students’ parents. 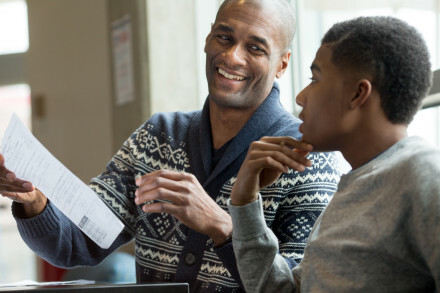 If teachers can develop positive interactions and communications with their parents, they provide a good model for how relationships should work. They demonstrate, hopefully, that the parents trust the teachers and that there is communication going on between the two, and show that the teachers are there also when parents might not be able to provide some safe environments for kids when things are happening outside of school, that they are a safe haven that they can go to. But I think developing relationships with parents is extremely important for kids this age for teachers to do. Robyn Harper:	So does this conversation, does the approach change regarding how teachers can foster these really positive relationships with their students when we consider the needs and challenges faced by historically underserved students, such as students of color or low income students? Kathryn Wentzel:	We know much less about those students, but some of the things that we’re finding I think are very important to consider. One is that quite often students of color or from low SES backgrounds quite often have different definitions of what a caring or supportive teacher is. Quite often they mention teachers who are more emotionally supportive or who are there for them socially as being more important than perhaps your average white middle-class student. And so I think that’s important to take into account. Regardless of those characteristics, it’s also important to remember that any student who comes from a stressful background, who’s living in circumstances – whether it’s community, family environments – that put the child at risk, if they come to school hungry, if there are just a number of stressors in their background, that teachers can play a very important role, again, in establishing a positive, trusting relationship and providing that child with a very safe environment to come to at the beginning of the day. So I think that’s also important. And, again, going back to the parent issue, often there’s a mismatch between parent values, teacher values, or school values, and it’s important for teachers to understand that mismatch but also work even harder to establish relationships with parents so that those things can be discussed and understood and that the student sees that conflicts can be resolved to make them more comfortable. Hans Herman:	Do you mind maybe just explaining – and I know you did to some extent in that answer – but more of, when you say mismatch, what that exactly – what all is entailed in that mismatch? Kathryn Wentzel:	Sure. There are a couple of things that we have studied. Quite often there is a mismatch in values, especially in terms of how teachers should interact with students. There are differences in values over discipline, how students should be disciplined. Quite often there’s just a mismatch in terms of expectations about what students should be doing not only in school but at home, issues over homework, issues over how much time children should be spending on school-related things. Some parents simply don’t understand, especially if they’re new to this country or if they had bad experiences in schools themselves. They don’t understand or ignore those things that might facilitate their own children doing well. And so, again, that mismatch makes it more of a challenge for educators – it should not just be teachers, but school administrators – to work on these issues, to bring families into the school, to encourage parent involvement, and to help them understand how to best help their children. Robyn Harper:	So you brought up school leaders, such as superintendents and principals. Let’s speak a bit more specifically about how they can support teachers in building these relationships both for more privileged populations of students as well as historically underserved students. How can they help build these relationships and create school environments that motivate middle and high school students? Kathryn Wentzel:	I think that there are some exciting projects going on right now to enhance the ability of school leaders to do these kinds of things. So there are programs being developed around social and emotional learning, around trauma-informed care, around restorative justice, so that school leaders understand how these issues play out in the school, the need for them to be supportive of teachers to learn how to use these skills, to train them in these skills, and to create a school environment where teachers have the professional development for these things, but also to send a message to students that these are things that are valued throughout the school community and not just by one teacher. So I think it’s important that we train school leaders in these kinds of issues and social supports, engage school counselors in this process and allow them to work with teachers, and to just come on board with the realization that schools are social communities – and I think most school leaders understand this – and to look for ways to make it as supportive a community as possible. Hans Herman:	We’ve gone through this whole conversation without talking about what you’re doing right now, which is we mentioned at the very beginning you’re working as an AERA Congressional Fellow in Congress. Would you mind explaining what that all entails, briefly? And then we’d like to learn more about what you’ve been doing there. Kathryn Wentzel:	Absolutely. So the Congressional Fellowship is through the American Educational Research Association and sponsored by AAAS, the American Association for the Advancement of Science. And as Fellows, we are placed in Congressional offices, both in the House and in the Senate, pretty much how to learn how legislation is drafted, developed, introduced into Congress. I’m working in the House this year. And so we’re there really to engage in the entire process, to learn how it works. Hans Herman:	If you had to say what your greatest learning has been, or your greatest learnings being in this experience, what were there? And quite often, I think what I have found is that some of the basic questions that we assume have been answered and that perhaps are part of our value systems haven’t been answered and the evidence really isn’t there. So I think sometimes we have to go back and really think about, well, do we know about what kinds of discipline are best? Do we know about how teachers define good discipline or good behavior? Do we know how students define good discipline or good behavior? And some of those basic questions we just don’t have the answers to, but we assume that we do. So I guess my biggest takeaway is we still have a lot of work to do, and we have to open channels of communication with policy makers on the Hill as well. Robyn Harper:	Absolutely. 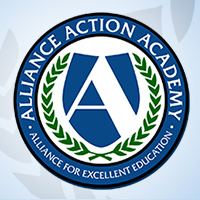 As the Alliance continues their work in the science of adolescent learning, we definitely become a part of that conversation that isn’t as clean as many think it is. It’s that, you know, I hate to use the word “negotiation,” but it almost is between what we know from evidence how decisions are being made and how it’s actually applied in the classroom. And it is certainly a challenge, but I think not only ourselves, but other organizations, are definitely taking on that mantle as they try to help the education space align as closely as possible to the evidence that we know, as well as support researchers in figuring out those questions that we still need answered. Robyn Harper:	So it’s really interesting to hear that it’s even evident on the Hill. Kathryn Wentzel:	I think I would suggest more researchers need to spend some time on the Hill and more people on the Hill need to spend more time in classrooms. It works both ways. Robyn Harper:	Definitely. No argument there. Hans Herman:	I’m curious then, now that – and you’re finishing this experiences in August. Correct? Hans Herman:	So what are your plans now as you return back to University of Maryland? What’s happening next for you? Kathryn Wentzel:	So I am returning to the University of Maryland. I’m looking forward to beginning work on my own research again. This is my area: teacher-student relationships, and so thinking about how to support teachers more in their efforts to develop positive relationships. I think we have started some good intervention programs, but to listen to both sides of the equation, both students and teachers, and how they define positive climates and what we can do to facilitate that. I think that’s very important. And also how to develop programs that promote prosocial behavior, socially responsible behavior. There’s been a lot of interest and work on civic engagement, and I’ve become more and more interested in that and how schools and classrooms can become mini-communities that we can create to help students develop a better sense of civic involvement and civic engagement. Robyn Harper:	We are all definitely looking forward to what your research brings next to the table, and we really want to thank you for all of your time this week. Again, our guest for this episode of Critical Window is Kathryn Wentzel, a professor in the Department of Human Development and Quantitative Methodology at the University of Maryland, College Park. She is currently an American Educational Research Associate Congressional Fellow for the 2017-2018 period, where she uses her expertise on student-teacher relationships and adolescent motivation and achievement to inform policy. Thank you so much for joining us. Kathryn Wentzel:	You’re welcome, and thank you for having me. It’s been fun.